BBQ for the good cause. 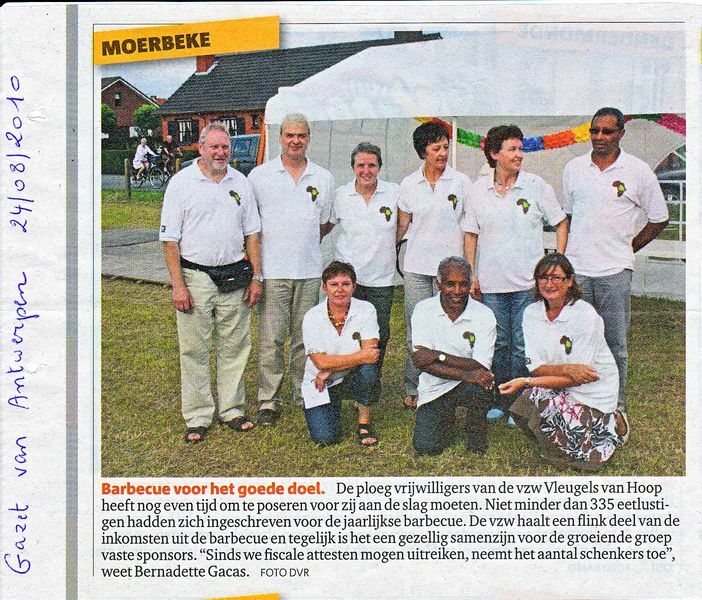 The association 'Vleugels van Hoop' team of volunteers posing for the photograph before starting to work. We welcomed some 335 eaters at our annual BBQ. This event provides not only a substantial part of the revenues of the association, the annual BBQ has become a pleasant meeting place for a growing number of sponsors. According to Bernadette Verhoye, the number of supporters is growing, especially since the association obtained the right to deliver fiscal certificates.